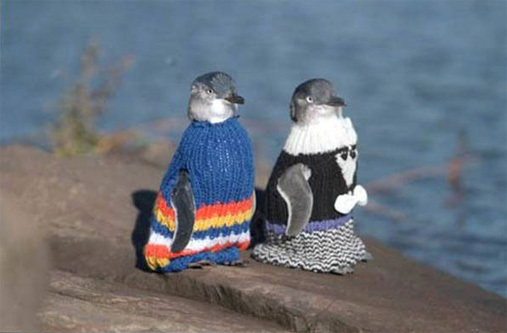 October's almost over, which means the winter chill is on its way. 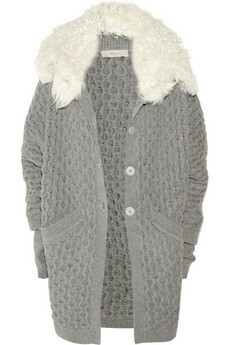 Luckily for us fashion followers that means big chunky knits are also on their way. 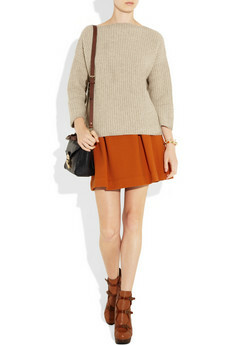 Big knits are number one on this seasons must-have list thanks to designers like Rag & Bone, Marc Jacobs, Celine, Chloe, etc. If you haven't gotten yourself an oversized chunky knit sweater yet, I have the following questions for you : where the hell have you been, are you blind, and have you heard of a magazine? 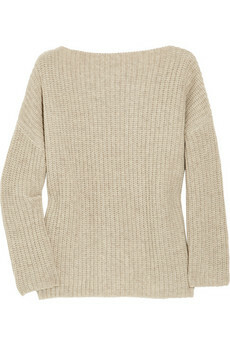 Anyway, if you are one of these late and secluded people you better hurry on over to Zara or H&M because the knits are going fast and in some cases probably already gone. 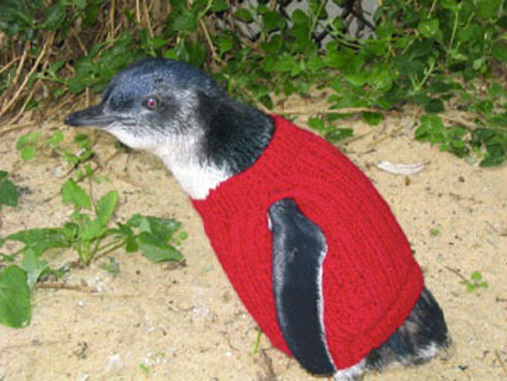 After yet another oil-spill in New Zealand, a local yarn store is asking for a donation of teeny penguin-sized sweaters to help keep the sad little birdies warm until their oil-soaked feathers can be properly cleaned by wildlife volunteers. So ask your grammas to get to work! 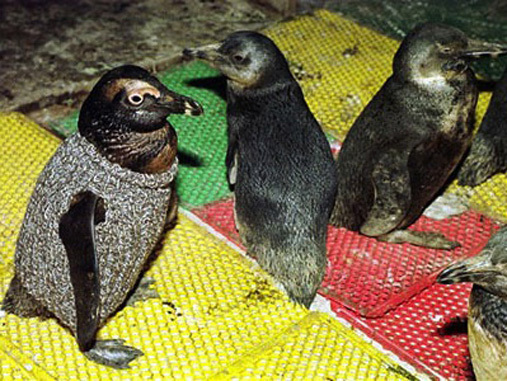 These guys need help and are most definitely too cute to ignore.